Looking out over Lake Tahoe's sapphire blue water, you'll find a unique winter snow sports destination where the Epic Pass at Heavenly Ski Resort gives you access to more terrain variety, more hidden glades and more rippin' groomers than you can imagine! The shores of this spectacular wonder play host to luxury lodging options, appetizing restaurants and bars, plus world-class entertainment at top quality casinos, jazz clubs and local haunts that provide all the excitement that Nevada nightlife is known for. The spectacular panoramic view of Lake Tahoe from the top of Heavenly's gondola is second to none in summit views and the mountain offers four challenging terrain parks to show off your skills. Adventure Peak provides a place for family fun with awesome activities like sledding, tubing, snowshoeing and more. 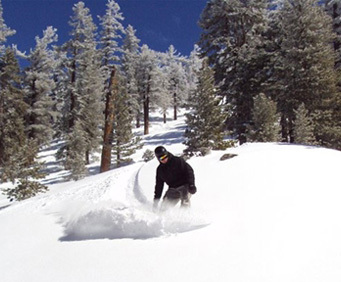 Straddling the Nevada-California border, you'll find the impressive 10,067 ft Heavenly Mountain encourages groomers to work tirelessly to ensure you are presented with perfect corduroy across 4,800 acres of skiable terrain, with 97 runs ranging from wide-open cruisers to plunging chutes. You can move around the mountain on thirty total lifts, including one gondola and one aerial tram, and most of the lifts are high speed ones that carry around 52,000 skiers per hour up to the top. Trail classifications are Beginner 20%, Intermediate 45%, and Advanced 35%. Beaver Creek: From the gentle, manicured slopes of Bachelor Gulch to the steep bumps of Grouse Mountain, skiers and riders of all abilities will feel at home. We groom 20 hours a day, seven days a week. The result is 776 groomed acres of pure corduroy for your skiing and boarding pleasure. Vail: A mountain wall 7 miles long, Vail’s 5,289 acres boasts three distinct areas, each with their own features and fortes: seven china white bowls famous from here to Timbuktu; an expansive Front Side with more groomed snow than anywhere on the planet; and Blue Sky Basin with glades, cruisers and adventures around every turn. Breckenridge: Breck’s four interconnected peaks offer amazing variety for every skill level. Peak 8 is home to some of the best (and longest) learning terrain in the world, keeping beginners on their toes and glowing with accomplishment. The south side of Peak 10 boasts big fat bumps, hidden kickers, legendary glades and enough fresh tracks to make expert riders and skiers salivate. With wide-open bowls, gentle rolling groomers, steep and deep runs, and arguably the best terrain parks in North America, Breckenridge offers almost endless terrain for non-stop skiing and riding. Keystone: Keystone is home to three magnificent peaks: Dercum Mountain, North Peak and The Outback. Take a guided snow cat tour from Dercum Mountain to our five famous bowls, including Independence Bowl—offering challenging terrain and epic powder. Ski the long bump runs of North Peak. And experience some of the state’s best tree skiing in The Outback. Heavenly: Straddling the border of California and Nevada, Heavenly boasts Tahoe’s highest resort peak, a formidable 360 inches of snowfall a year and a vertical rise unmatched on the West Coast. Add 34 miles of wide-open, groomed cruisers, double-black canyons with 1,600-foot plunges, four terrain parks and acres upon acres of powder-filled glades. This is what other mountains want to be when they grow up. This is Heavenly. Northstar: From a self-titled 'Timber Farm' to one of the finest year-round mountain resorts in North America, the story of Northstar California began in the historic lumber town of Truckee, California. The resort is now proud to be called home to North Lake Tahoe’s largest snow making system, seven award-winning terrain parks and super pipe, a base area village offering 35 specialty shops and restaurants, and the largest lift-served mountain bike park in northern California. Arapahoe Basin: Arapahoe Basin offers over one hundred expertly carved trails, above timberline bowls and deep powder stashes. Whether you are interested in those groomed cruiser runs or maybe chutes and glades are more your style, the Basin has it! Come experience why Arapahoe Basin is called the Legend. 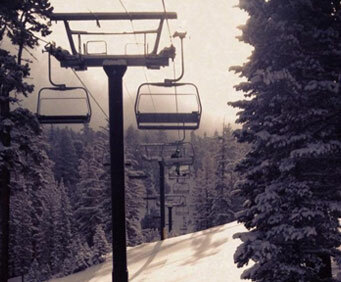 Kirkwood: Kirkwood is located about 35 miles southwest of South Lake Tahoe, and offers guests big mountain skiing with the charm of a small town. 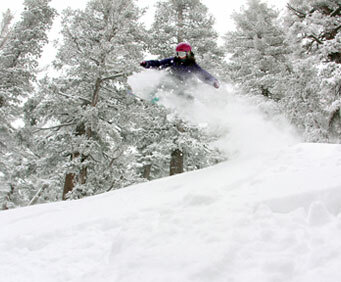 Enjoy perfect ski conditions with the lightest, driest and most plentiful snow in the Tahoe region. There is 2,000 feet of vertical drop and more than 2,300 acres of skiable terrain ranging from beginner runs to the most high angle grooming around. Whether you are coming a week or all season, the Epic Pass is the choice for you! You can resort-hop to all of them, or simply ski at a few for as long as you want without having to worry about the additional cost of lift tickets. Avoid lines and buy your Epic Pass today. EPIC PASS: Ski as much as you want, whenever you want. The Epic Pass is unlimited, unrestricted and unreal with access to eight world-class mountains with no blackout dates. Available all season. EPIC 7 DAY PASS: Perfect for people who don't plan to ski or ride more than 7 days. This pass includes a total of seven unrestricted lift tickets valid at seven world-class mountains. Pass is available all season, free of holiday restrictions and must be used in 7 consecutive days. Does not include Kirkwood.